Fuel, as well as all products, has certain requirements: it shouldn’t change the structure during the transporting and storage, to cause a deposit and gumming on engine parts, to intensify corrosion processes, to have the increased toxicity. Operation reliability of any engine, its capacity, durability, toxicity of exhaust in many respects depends on fuel quality. Commodity gasoline consists of a mix of the various fractions received by different methods of oil refining – direct distillation, cracking process, a catalytic reforming. Each gasoline production is surely accompanied by the documents confirming its key parameters: evaporability, density, detonation firmness. The last indicator is very important – it includes in gasoline marking and called as octane number. 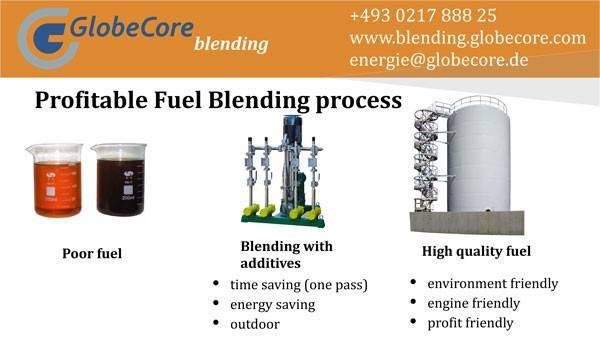 Parameters and quality of fuel can be changed by fuel blending with additives or other alternative fuels. For improvement of cars operations it is necessary to provide the correct technological mixing of fuel with other components. Formation of such system has to be done on the basis of scientific achievements and available experience of use of alternative fuel or additives. The most available and widespread fuel for engines with injection and catalytic converter today is biofuel. Biofuel is a perfect additive to gasoline, has many positive properties. Research of influence of biofuel additives to gasoline based on ecological indicators and fuel profitability of the cars equipped with engines and system of injection of gasoline and converters of fulfilled gases, and rational use of gasolines with various of biofuel additives make an essence of dissertation work. 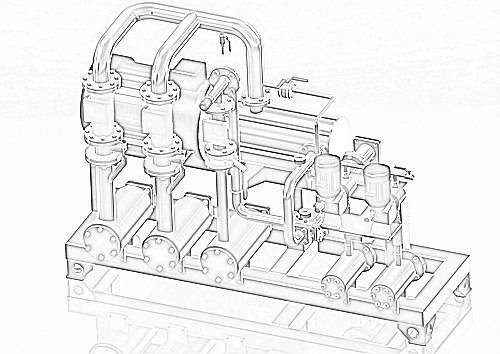 The USB hydrodynamic mixer dispergator by GlobeCore Blending is intended for receiving fuel blending stable mixes, an up classing of heavy fuels by dispergating of asphaltic substances, receiving water fuel emulsions, increase of additives efficiency entered into fuel; can prepare for utilization oil waste and prepare emulsions for machines. Hydrodynamic liquid installations: they are called by compaunder, cavitator, blenders, dispergators, homogenizers it is decrease in temperature of hardening of diesel fuels, limit temperature of a filtration, temperature of hardening and dissolution of paraffin in diesel fuels.